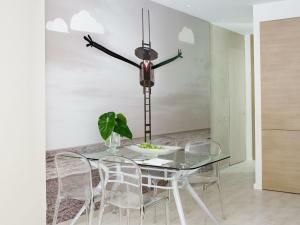 These stylish, eco-friendly apartments were designed by Danish architect Eric Vökel. 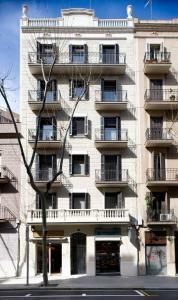 The Eric Vökel Boutique Apartments - Sagrada Familia Suites are set in a restored Modernist building, just 200 metres from the Sagrada Familia and 100 metres from Sant Pau Dos de Maig Metro Station. 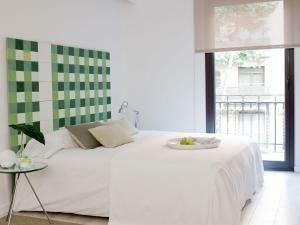 The Eric Vökel Boutique Apartments - Sagrada Familia Suites offer boutique design with bright white décor, glass dining tables and electric blinds. Each apartment has a balcony. There is a space at reception, called Eric's Corner, where you can find free amenities that might be very useful during your stay, such as dishwasher bars, coffee, tea, sugar, oil and napkins. Other facilities include free WiFi and a flat-screen TV in every apartment. The building’s electricity is supplied by solar panels. Each apartment has a fully equipped kitchen with a washer-dryer and a dishwasher. 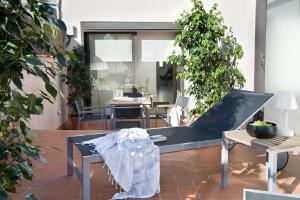 The property offers a 24-hour check-in service and luggage storage. There is also a computer for guests' use. The beautiful Modernista Hospital Sant Pau is set 5 minutes’ walk from the apartments. There is a selection of shops, restaurants and cafés in the surrounding Sagrada Família district. 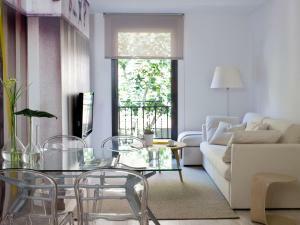 The centre of Barcelona and Las Ramblas can be reached in 20 minutes, by Metro, or by bus. Please note that the reception opens from 09:00 to 18:00. Please contact the property if you expect to arrive after 18:00 so they can provide instructions to use the automatic check-in machine. Guests can store their luggage in lockers if they arrive before check-in is possible. Please note that for reservations of 3 or more rooms, special conditions and extra charges may apply. 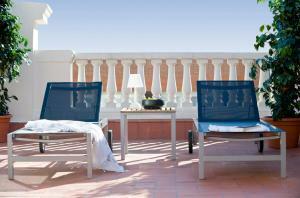 This spacious top-floor apartment features a 25m² terrace. 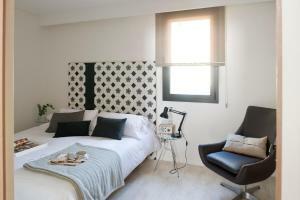 It features stylish, modern décor and has a king-size double bedroom. There is a kitchenette, and the lounge includes a sofa bed. 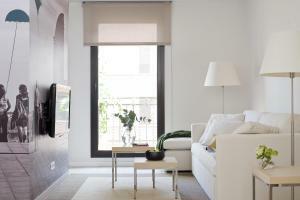 This apartment comes with 2 double bedrooms or 1 double bedroom and 1 twin bedroom. 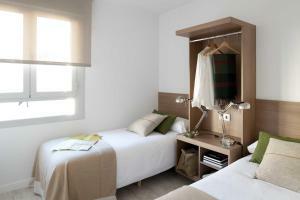 There are 2 bathrooms, and bed linen and towels are provided. Rate: € 134.10 ... € 259.00; select dates below to get current rates. This apartment comes with 2 double bedrooms or 1 double bedroom and 1 twin bedroom. Bed linen and towels are provided. Rate: € 116.10 ... € 269.00; select dates below to get current rates.